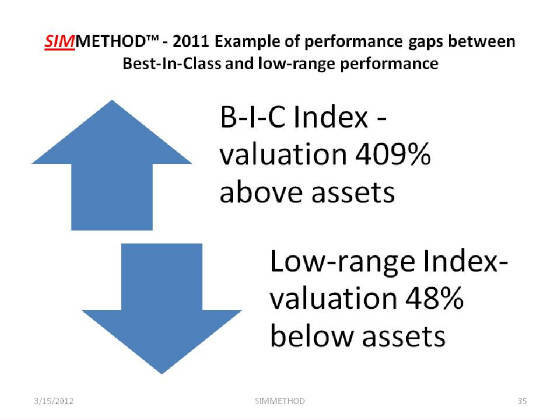 The SIMMETHOD™ Global Strategy/Execution Performance Predictive Index is an Industry Agnostic Index that identifies the best performing leaders and "A" teams and is a leading indicator of future risk and performance. This Index identifies previously undetected strengths, weaknesses, threats and opportunities from inside and outside your industry and provides early warning alerts for competitive advantage. The Index enables value chain partners to collaborate, reduce their risk and improve their performance.